Dr. Gregory W. Weakley received his Doctorate of Dental Surgery with honors in 1986 from the University of Maryland Baltimore College of Dental Surgery. He was elected to Who’s Who Among Students in American Universities and Colleges. He served as president of the Gamma Pi Delta Prosthodontic Honor Society and vice president of the Academy of General Dentistry. Dr. Weakley was one of only six seniors selected to the Fixed Restorative Clerkship, an honorary program that entails treatment of complex crown and bridge cases. Dr. Weakley has broadened his dental expertise by completing thousands of hours of advanced training on restorative and cosmetic dentistry at the most prestigious dental institutions across the country. He has completed many complex implant cases, some involving full upper and lower arch restorations. He has been doing smile makeovers with “daVinci Veneers” for 28 years, and his office has been selected by daVinci Dental Studios to be part of the daVinci Cosmetic Partnership. Dr. Weakley has been recognized for his excellence in restorative and cosmetic dentistry and was voted one of “America’s Top Dentists” by the Consumer’s Council of America. He was also selected as a “Top Dentist” in Frederick, Maryland by the International Association of Dentists. 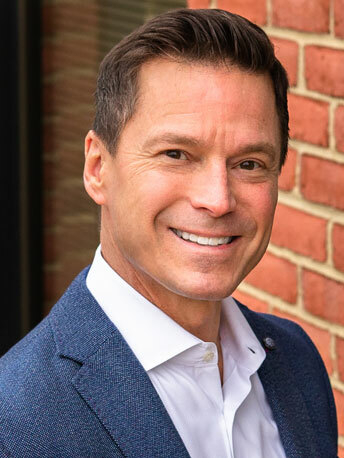 He is a member of the Francis Scott Key Dental Study Club, Frederick County Dental Society, Maryland State Dental Association, American Dental Association, Academy of General Dentistry, and American Academy of Cosmetic Dentistry. Dr. Weakley’s practice philosophy focuses on comprehensive care as well as the aesthetic and restorative enhancement of his patients’ smiles. His patients truly appreciate the gentle individualized care. Dr. Weakley resides in Frederick and has three children and one grandchild.